What you eat and when you eat following a workout is hugely important and can make a massive difference to your body composition, performance and overall recovery. What is the ideal Post-Workout Nutrition? 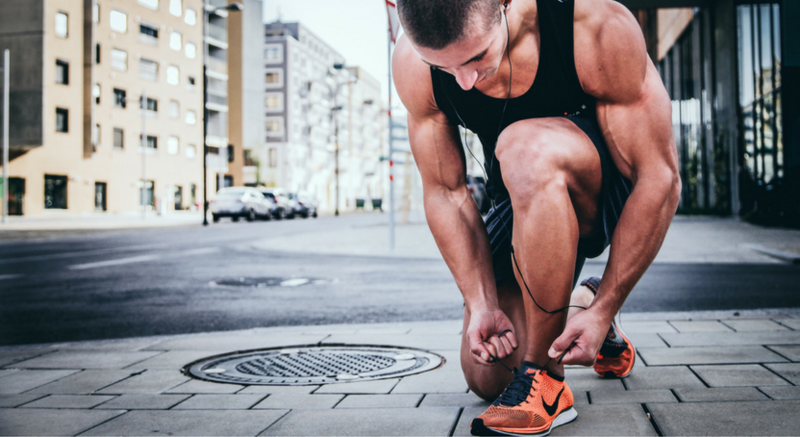 When you work out, not only are you using up your stores of energy (aka glycogen), but it also causes small damages to your muscle tissues at a cellular level. While this might seem like a negative thing, it is actually what allows you to become stronger, fitter and leaner – as long as you are supporting your body nutritionally to allow this to happen. The building and toning of muscles happens when muscle proteins are broken down and new ones are created. So basically, eating the right foods after a workout will not only replenish your energy stores, but also help to build stronger muscles. We want to talk to you about “your window of opportunity”. This is basically a 30 – 90 minute window following your workout where your body is able to deal with nutrients slightly differently. Studies have found that getting a good source of nutrition and rehydrating during this period will result in maximum gains. This is because during this time there is increased blood flow to your muscles and your muscles are more likely to accept the nutrients flowing around in your blood, helping to stimulate muscle growth and repair. The two most important components of post workout nutrition are protein and carbohydrates. Protein is important for repairing and rebuilding the muscles damaged during training. It provides the body with amino acids, which are the building blocks for new muscle and for muscle repair. Carbohydrates are important to help replace the energy you use up. How much carbohydrate you need will depend on the intensity of your workout (e.g. endurance events use up more energy than strength training). Consuming the wrong types of foods after working out, like sweets and other discretionary choices in the short term can give you that burst of energy you might want, however, can be detrimental in the longer term. It can result in increased fatigue, muscle soreness and poorer performance at your next training session. Plus remembering to hydrate well after your workout with lots of water! There has been some controversy about whether to include or exclude healthy fats, such as avocado in your post workout meal. Fats tend to reduce gastric empty (aka they slow down the emptying of your stomach contents), which is great normally as this helps you to feel full. However, following a workout fats may delay the absorption of your post workout meal. Therefore, it may be a good idea to limit the amount of fats that are included in your post workout meal or snack and save these for your next meal. We usually recommend a food first approach when it comes to post-workout nutrition. This is because you can easily meet your protein and carbohydrate requirements through food alone (and get a tonne of other nutrients this way as well). Saying that, for some people, ready to drink liquids (e.g. protein shakes) might be a quick and easy way to get some nutrition in, especially if you aren’t hungry following a workout, or have trouble digesting a meal. If you are know that you are not going to get the opportunity to have a carbohydrate and protein rich meal or snack within the window of opportunity post exercise then supplements may also be of benefit. This article was written by The Biting Truth in conjunction with Sarah Young who is a student dietitian interning at The Biting Truth.